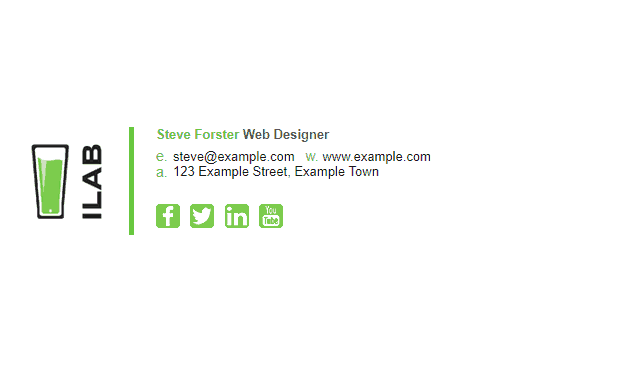 Which Email Program Is the Best for Email Signatures? Which Email Program Has the Best Email Signature Compatibility? We test email signatures every single day, so we see a lot of patterns to the problems that they can create. Quite often we get asked “So, what is the best email client for email signatures?” and it is a very tough question to answer. The reason its a tough question is because most email clients we come across don’t render email signatures perfectly, and we mean 100% perfect, not a single pixel out of place, but some get close. With that out of the way, we have definitely seen email signatures behave better in some email programs compared to others and our aim here is to rank the best email programs based on how well they display email signatures. The best email client for email signature compatibility is Mailbird. We can say with certainty that when you install any of our email signatures in Mailbird, they should be displayed correctly and you shouldn’t experience any problems. 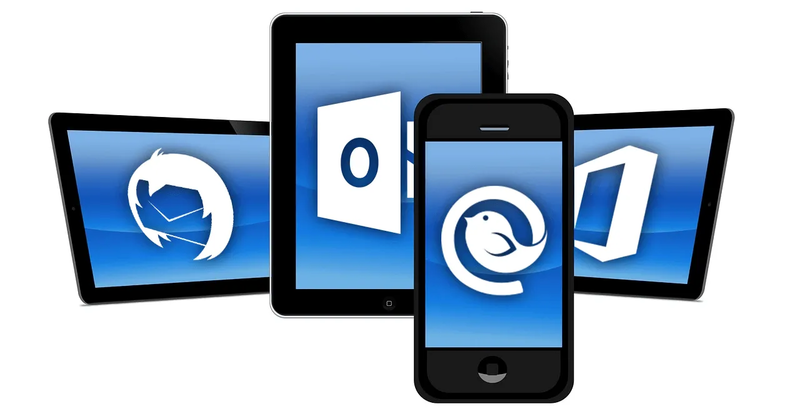 This is because Mailbird is built using the Chromium Embedded Framework which means it renders HTML accurately. Bonus points for Mailbird! Apple Mail comes in a close second place. It displays most email signatures correctly as it uses the WebKit rendering engine, however the signature installation process can sometimes be troublesome and cause problems for users. The installation instructions need to be followed carefully, otherwise your email signature may not show up when you go to compose a new email. Signature installation issues seem to be plaguing the iOS version of Apple Mail as well. It must be an Apple thing! 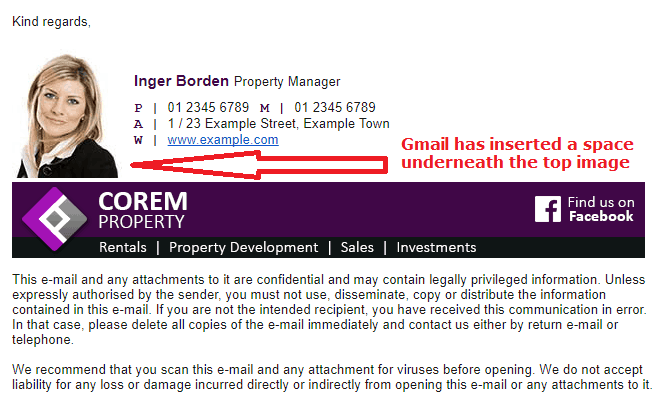 Email signatures mostly appear correctly in Gmail, except if you are using an email signature with multiple images. A signature that has images one on top of the other will have problems in Gmail that is described as the “Gap Below Images” problem. Whilst this is fine for email signatures that are using only one image, it can create problems for email signatures with a logo image and also a banner at the bottom. In Apple Mail for iOS (iPhone’s and iPad’s), email signatures typically display quite well and are fairly well formatted. Similarly to Apple Mail for OSX, the iOS version also uses Webkit for HTML rendering. The disappointing thing is that it is quite difficult to install the email signature in the first place which can put a few people off email signatures for iOS devices. Outlook is one of the most popular email clients that most of the business world uses, but that doesn’t mean it is the best one for email signatures. In fact, its quite average at displaying and rendering email signatures as it relies on the Word Rendering Engine to render any HTML in email messages. 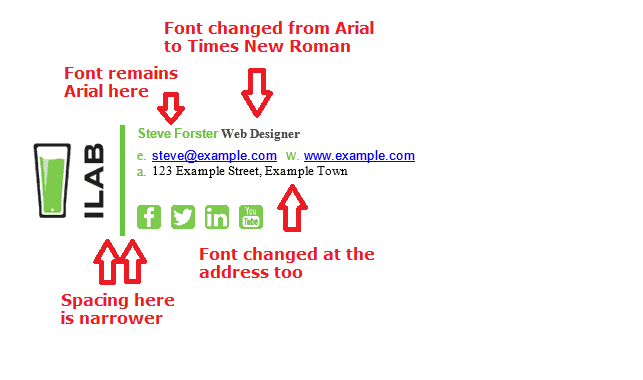 There are often problems where the email signature images change size or email signature fonts change to times new roman when sent to Outlook and many more. Outlook for Mac has most of the same issues as Outlook for Windows (above), since it now uses the same Word Rendering Engine as Outlook 2007, 2010, 2013 and 2016. Prior to adapting the Word Rendering Engine, it used WebKit. The change to Word Rendering Engine in version 15.22 caused huge problems with email signatures not rendering correctly anymore. The Android email app can be tricky to judge in terms of whether it is good for displaying email signatures correctly. This mainly comes down to the fact that Android is an operating system that many different phones use (Samsung Galaxy, HTC, Sony etc), and many of those phones have different screen resolutions. The good news is, they all use the same email app (not to be confused with the Gmail app), which means they all use the same rendering engine within the app. Outlook.com is similar to Office365 (below) in regards to its interface and processing engine that it uses so it shares many of the problems that Office365 has in regards to displaying and rendering email signatures correctly. Unfortunately, the loser here is Office365. Although Office365 is a great cloud email platform which gives you direct access to Microsoft Exchange features for a small monthly price, it has some major drawbacks with how it renders HTML email signatures. Office365 has a habit of inserting spaces (&nbsp;) into your HTML code when you send an email. This can obviously cause your email signature to look like Frankenstein’s breakfast fairly quick, and that is one of the reasons that Office365 is at the bottom of this list. The reason email signatures look different (and sometimes look completely broken) is because there are a lot of different HTML rendering engines (seen above) that email programs use. An easy way to understand this is “Would a website look the same in Google Chrome, as it does in Mozilla Firefox?”, most of the time the answer is “No”. The reason websites look slightly different between browsers is for the exact same reason as email signatures look different between email programs, the HTML rendering engine is different. 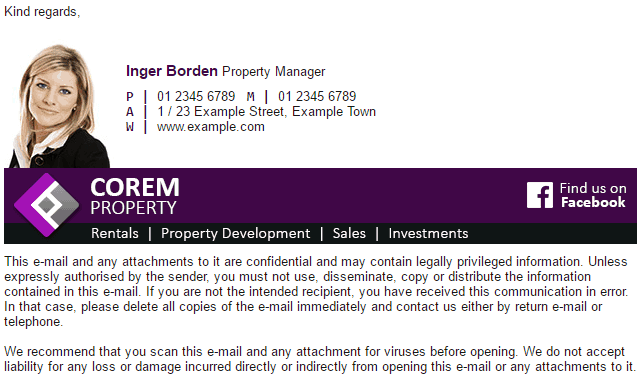 After all this talk of broken email signatures, its time to show you some examples. Not such a pretty sight, is it? When the email signature left Mailbird, it looked fine. Outlook 2016 has converted the Arial font to Times New Roman in some sections of the signature and changed the spacing between the image and text. Although it may not look like a big deal that there is a space is underneath the first image, it looks unprofessional and unfinished. Multi-image email signatures should never be used if you will be sending to a lot of Gmail addresses, as they will likely break like the example above. This concludes our email program ranking article. As always, if you have any questions or suggestions, feel free to post below.